Welcome to 9 Gatos Art (formerly 9 Gatos Mosaic). 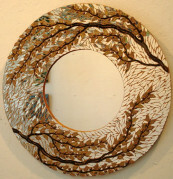 Here you will find the wonderful mosaic and mixed-media art of Rodolfo Rosas Hernandez. You will get to see a selection of Rodolfo’s mosaic art throughout the web pages. 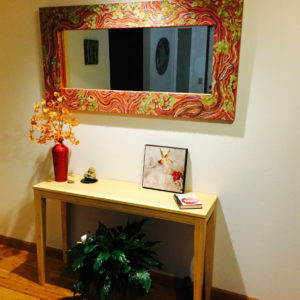 To view a gallery of the Mosaic or Mixed-Media Art that you can purchase, click on the Mosaic Gallery or Mixed-Media tabs above. To order any piece of Rodolfo’s art, find the necessary information under the Ordering tab. To contact Rodolfo, use the contact form or email address located on the Contact Info page. 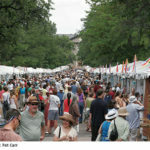 You can see where Rodolfo will be exhibiting his art work on the Shows & Events page. 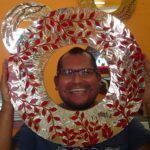 Rodolfo will be at various locations and galleries where you will be able to meet him and be able to purchase your favorite mosaic or other piece of art. Finally, to learn more about the artist himself, there is a short biography on Rodolfo Rosas Hernandez tab. Click below for quick access to these pages. Copyright © 2019 9 Gatos Art. All Rights Reserved.